MetaboSlim Review (UPDATED 2019): Is It Safe? MetaboSlim Review: Is It Safe? All natural and wholesome sounding ingredients have come together to form this weight loss product. 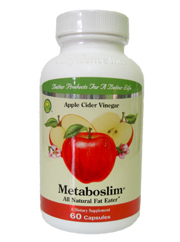 This actively features Apple Cider Vinegar which is meant to reduce body fat in a safe manner. In taking 2 of these capsules during meals daily the manufacturers claim actual weight loss is attainable. Does it actually do what it claims? Let’s see what MetaboSlim has to offer. Created by Confidence USA, Inc which runs its operations in New York. The FDA has had problems with this company for their lack of oversight and proper manufacturing procedures. They also had a banned substance added to this particular formula in several of their batches. Their earlier yield of MetaboSlim contained Sibutramine, a controlled substance that was taken off the market due to its ability to cause strokes and heart attacks. A full refund was offered to customers though the extend of damage is unknown. Using what it claims to be the most powerful fat destroyer that destroys fat cells while regulating blood sugar. Blood sugar is also kept in check with glycogen being processed by the liver. Also the body is forced into a thermogenic process making calories burn off. Energy is also gained thru a boost in the mind and body. Currently there are no offered customer reviews or testimonials. 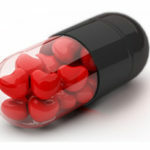 What is known however is that one must take 6 capsules daily and that it is marketed only towards women. There’s uncertainty if it is restricted to just women. It remains unclear why the makers have decided to omit any evidence or customer testimonials when they claim their product to be the most effective one on the market. There’s reasons to be weary seeing as how this formula has had illegal substances. For quality assurance we recommend you view wholesome alternatives for weight loss. Chromium: A metal necessary for the body and found in many foods. It can regulate blood sugar levels. Vitamin D3(as cholecalciferol): A form of vitamin D made in the body. 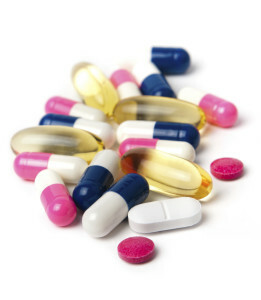 There is debate whether or not extra supplementation is required. Green Coffee Bean Extract(50% Chlorogenic Acids): Immature coffee beans with a high level of blood sugar lowering Chlorogenic Acids. It has shown modest effects at lowering blood pressure. Green Tea Leaf Extract(45% EGCG): A component of a popular tea that is high in the antioxidant EGCG. Raspberry Ketone Complex: A component of berries that is said to aid in obesity treatment and hair loss. African Mango Seed and Veld Grape Stem: Irvingia Gabonensis seeds make up the African Mango and they are added due to their reported ability to bring weight down. Veld Grape Stem is one of 350 varieties of vines that have been used in Africa for medical treatment. American Ginseng Root: Added to work as a natural stimulant and blood sugar lowering ingredient. Apple Cider Vinegar: A form of vinegar sourced from apples. It is said to lower blood sugar levels. Dehydroepiandrosterone (DHEA): Considered a steroid naturally occurring in the body. Long term use of this as a supplement is unknown. Potential Side Effects: Muscle fatigue, mental fog, irritability, difficulty concentrating, tremors, sweating, anxiety, fatigue, diarrhea, vomiting, heartburn, anger, difficulty dealing with emotions, indigestion, facial hair in women, constipation and elevated heart rate. They are registered with the FDA and have an explanation for each of their ingredients. There’s a rightful concern over what this product may do to you. Inside is a bunch of ingredients, many of which have shown problems in high doses. Due to the proprietary blend you will not know how to accurately measure and track what could be a problematic intake of ingredients. For example with a past history of containing a steroid like substance that has been banned in sports makes awareness over safety a priority. At $40 a bottle monthly this supplement quickly racks up a high price point for something without clinical trials. One of their ingredients has been tested for effectiveness yet it clearly states the people had a high dose and exercised and dieted. Though it offers 10 years of sales as evidence of effectiveness, no customer testimonials are offered. It’s hard to imagine there wasn’t one positive review in those 10 years. Looking at the repeated violations reported by government groups is cause for alarm. With the lack of oversight and unmentioned harmful additive Sibutramine, it’s hard to take this brand seriously. With a history of government complaints and lack of oversight there’s many drawbacks to this brand. Judging this product is important as they have included items that could have caused severe damage and no one knew about it until the FDA stepped in. These ingredients now sound wholesome, but how can one truly know? It’s too expensive and too risky to try and sample MetaboSlim. Finding a new ingredient for weight loss would be great had it not been for a lack of clinical evidence. Finding weight loss products isn’t that hard and in fact you have access to them right now. Instead of focusing your time on things that are expensive and unfruitful. Try your hand at real products that can cause a change in your body.